A vsitor pass is required for parking. Please request a pass in advance via email. If necessary, call 718-461-7006, X5143 or X5139 to request a visitor pass on the day or the visit. 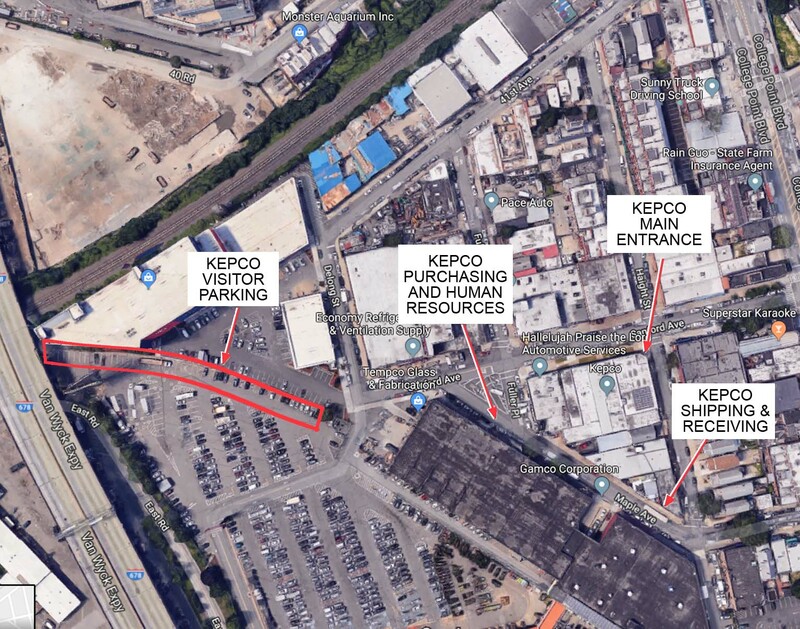 After following the directions outlined below, park in the Kepco Visitor Parking area, a specifically designated area of the Home Depot lot. Cars without a visitor pass or parked outside the designated area are subject to towing!